Dempsey Hill is one of the dining destinations in Singapore. There are plenty of fabulous and romantic restaurants such as The White Rabbit, PS Cafe and House. However, most of the places are not exactly affordable and you will be hard-pressed to get a meal for under $20. If you are on a budget and do not know where to eat at Dempsey, try Huber’s Butchery & Bistro. There are only a few items on the menu, but for what they lack in variety, they more than make up for it with quality. For steak lovers, the 220g US Ribeye Steak ($28.50) is worth a mention. 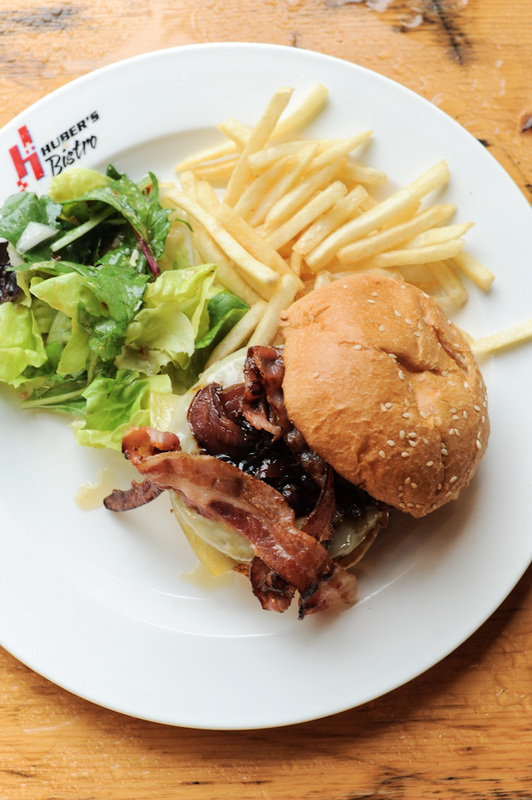 Otherwise, go for the Roast Beef Sandwich ($12.50), Meatloaf (12.50), or the Huber’s Beef Burger ($15) – a very good burger with a solid beef patty topped with caramelised onions, melted cheese sandwiched between a softly-toasted and buttery bun.